We all know onions and how it's highly demanded in the market, but everybody thinks it only grows in the northern part of Nigeria. I want to tell you that onion actually grows in the south. TESTED and PROVEN. SO HOW WILL YOU PLANT YOUR ONIONS? You need to make a bed just like every other vegetable. If you are planting in the dry season let the bed be very low so that you don't need to water too much and your onion will be able to get the little water it needs to grow. Apply poultry droppings 2 weeks before planting. Onion is not directly planted into the field. So you need to nurse it and transplant to the well prepared bed in 15 days. Step 1. Mixed the wood shavings and the poultry droppings together and water to make it moist, then place the mixed content on the tray or trough. Step 2. Make horizontal lines on the tray at 2cm apart then sprinkled your hybrid onion seed exactly on the lines and cover it with little dry soil. Step 3. Wet every evening but don't allow water to touch the line you planted the seeds. If you follow the procedures above then you onion seedlings will be ready for transplanting in 10 days. 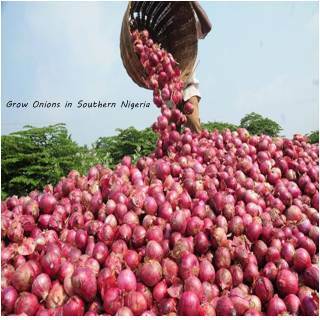 Onions are in high demand in Nigeria and the price soars during dry season. One can make a lot of money growing onions commercially. The choice of onion variety matters a lot when it comes to commercial farming / agribusiness. This is because a farmer has to calculate the input costs and the output costs in order to maximize profits. 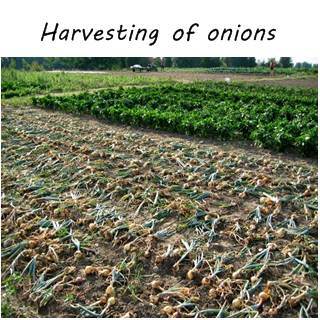 Optimum temperature for onions development is between 15 to 30 .C, whereas temperature of 20 to 25’C is favourable for seedling growth. Generally, high temperatures favor bulbing and curing. However, in cases of extremely high temperatures, maturity is hastened and bulbs do not grow to maximum size hence lowering yields. Fertile, well drained soils are good for plant growth. The optimum pH is between 6 to 7.5. 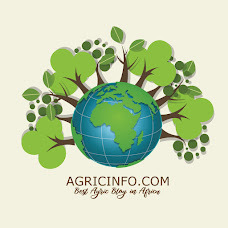 For irrigation, drip or overhead irrigation can be used. Onions at bulbing stage need a substantial amount of water. Excessive moisture, however, must be avoided during growing season. Avoid too much application of fresh manure, as this will cause the plant to develop thick neck and too much leaf at the expense of bulb formation. Fresh manure could also host important insect pests. Raised beds; this improves drainage and prevents damping-off disease. Mulching; maintains and enriches soil organic content, prevent soil borne diseases and suppress weeds. Important insect pests that attack onions include; Thrips, Whiteflies and Aphids and would require insecticide applications. Thrips are more severe in dry seasons. Hence one should keep the plants well irrigated at such seasons. One can reduce pests’ populations by pulling out weeds since they act as alternate hosts for the pests. Chemical applications can also be made i.e. insecticide. Plants extracts have also been used and prove to be effective. example is Neem and Garlic extracts. These are sprayed on attacked plant parts. The plants extracts should be tested for phytotoxicity before any applications are made. Fungicides: This can be classified as curative or protective fungicides. Mancozeb e.g. Milthane, Oshothane, Dithane, e.t.c. This is applied when weather conditions would likely to favour development of the disease i.e. blights. Curative fungicides are applied to plants that are already infected by the fungal diseases e.g. Pink Rot, Purple blotch and blights (early & late blight). In this case, applications are made on the infected regions i.e. bulbs, stems. Harvesting can be done as from 90 to 150 days after sowing. The onions are ready for harvest when the leaves collapse. The necks can be twisted and its leaves bent over and left to dry for 10 to 12 days or less depending on whether conditions. The crop is pulled out by hand and kept for some days in the field with bulbs covered with leaves. This is called windowing/curing process. Leaves are then cut off and the mature bulbs stored. So here we are. 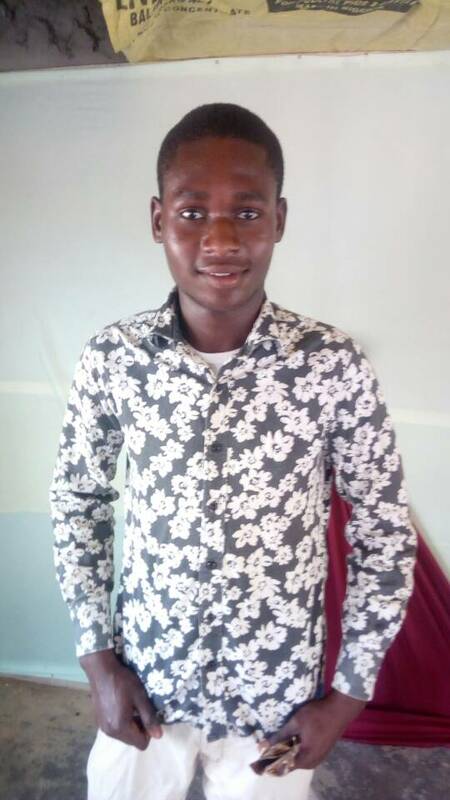 If you are passionate about venturing into agribusiness then onion might be the wonder crop to start with.